Historic New England convenes small to mid-sized heritage organizations from around New England May 9 at the Affiliate Members Forum. 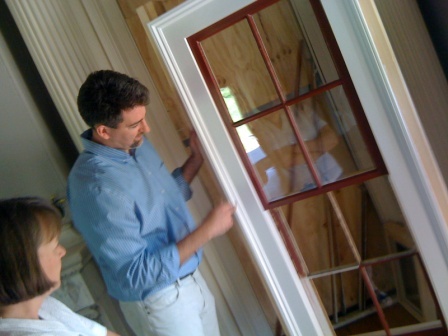 Learn more about the origins of the double-hung sash, its history in New England, and how wood windows contribute to energy efficiency and historic character. Learn about Historic New England’s school and youth programs and the process behind creating them. Issues covered include working within state curriculum frameworks (and looking ahead to the Common Core), including classroom teachers at all stages of development, and designing activities appropriate to all learning styles. Learn how Historic New England is making its sites more energy efficient while staying true to its preservation philosophy and retaining the historic integrity of the properties. Case studies look at both large and small historic structures. This year’s Forum attendees will be among the first to receive a tour of the newly re-opened Lyman Estate, which underwent a weatherization and energy efficiency project in 2011. Through window conservation, insulation, and more efficient equipment, Historic New England’s goal is to reduce energy use by fifty percent at the Lyman Estate without sacrificing the historic integrity of the building. Learn more about the project and our progress. The Affiliate member program is designed for small to mid-sized historical societies and proprietors of historic properties whose mission align with that of Historic New England. Affiliate members enjoy benefits for their organizations and members including access to best practices for the preservation of their collections, landscapes, and properties. To learn more about the Affiliate member program or to register for the 2012 Affiliate Member Forum, please contact John Bradley at 617-994-5935.